Dr. Clement is a US Navy and US Army veteran. He studied Biology at Slippery Rock University and Optometric Doctoral studies at Pennsylvania College of Optometry in Philadelphia. He was President of his Optometry class from 1995-97, and Vice President of Gold Key Optometric Leadership Society 1997-98. Dr. Clement practiced in Georgia and South Carolina before returning home to Pittsburgh to launch Gateway Eye Associates in October 2000. Dr. Clement lives in North Hills with his wife, Elizabeth, and their son Lukas Patrick Harry and daughter Laura Margaret Jo. 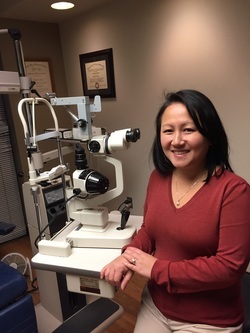 DR Dang completed her undergraduate studies in Biology at Washington and Jefferson College and was awarded the degree Doctor of Optometry following four years at the Pennsylvania College of Optometry in Philadelphia. In 2000, DR Dang began practicing in Downtown Pittsburgh as well as providing care to residents of local nursing homes. In 2001, the new, state of the art facility was opened on the first floor of Gateway Center to provide the highest quality care and convenience to patients. DR Dang lives with her husband Brian in Murrysville. The couple have a son: Dylan. 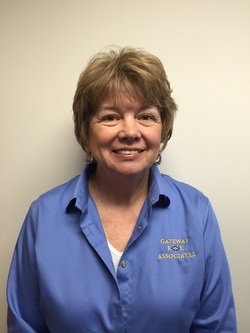 ​Rose joined Gateway Eye in 2011 as Auditor to oversee the processing and payments of invoices, insurance claims, and patient billing. Her resume contains over 30 years of business administration and management positions in a variety of manufacturing and service industries. ​During downtime, Rose likes to read, do crafts, travel, and spend time with her family – especially her grandson, Dylan. ​Chauncey joined the team in August of 2014 as an Insurance Specialist after graduating from Everest Institute for Medical Billing & Coding. He works hard to help all of our patients with their insurance inquiries. ​Chauncey goes home to the company of his son, Chauncey Jr. When Chauncey Jr. is not busy with wrestling and football, he and his dad love to watch movies and play video games together. 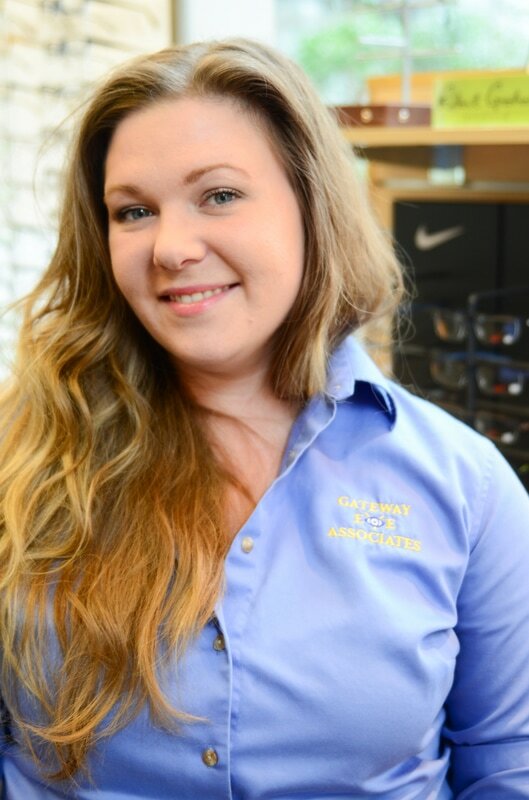 Autumn joined the team at Gateway Eye Associates in March of 2010 as Patient Care Coordinator and has since been trained as an Optician as well. She works to complement our high quality eye care by working to ensure that all patients find their experiences to be efficient, informative and enjoyable. Autumn is available to assist you with all of your scheduling needs and billing inquiries. Autumn goes home to a very lively household consisting of her husband Anthony, dogs: "Tucker," "Smokey," and "Margarita," "Kitty" the cat, and "Mina" and "Marie" the snakes. She greets all of life's adventures with enthusiasm and holds friends and family dear to her heart. 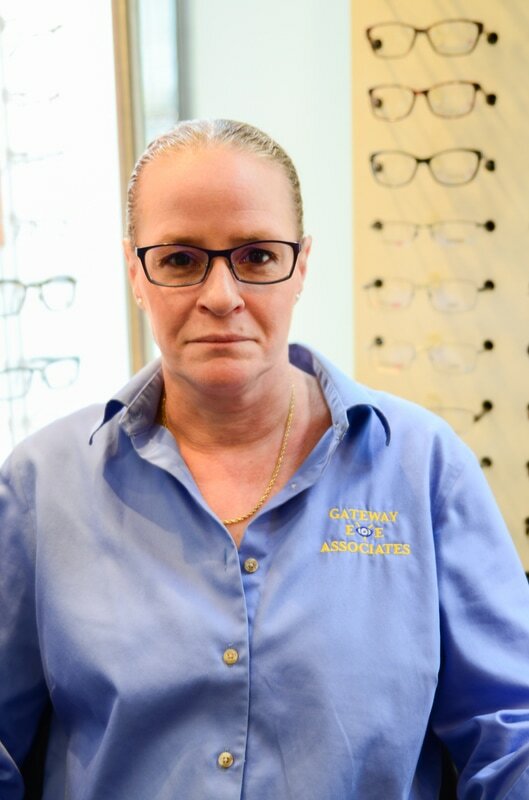 ​Kim has been with Gateway Eye Associates as our Ophthalmic Assistant and Contact Lens Technician since 2003, after over 7 years of previous experience as a Receptionist and Ophthalmic Assistant. When Kim isn't here at Gateway Eye you can find her enjoying her nieces and nephew as well as her cat "Khloe." ​Andrew started with Gateway Eye Associates as an Optician in April 2017. He grew up in North Canton, Ohio and attended Ohio University where he majored in biology and played lacrosse. He lives in Shadyside with three roommates and enjoys watching the Cleveland Cavaliers and the Pittsburgh Steelers. In Andrew’s spare time he coaches youth lacrosse.